Parallax also offers Classical Cassegrain and Dall-Kirkham Cassegrain telescopes in 10", 12.5", 14.5", and 16" apertures. 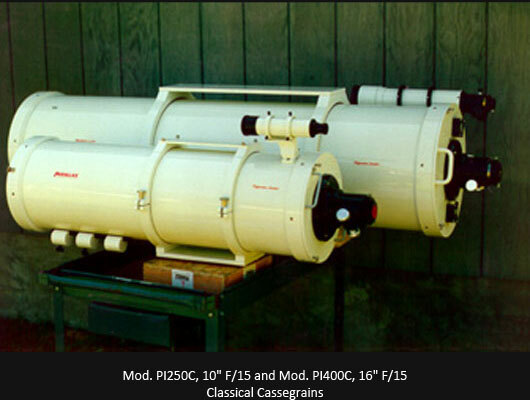 The Classical Cassegrain offers a very long focal length in a relatively compact tube. They are excellent instruments for high magnification planetary and double star work. 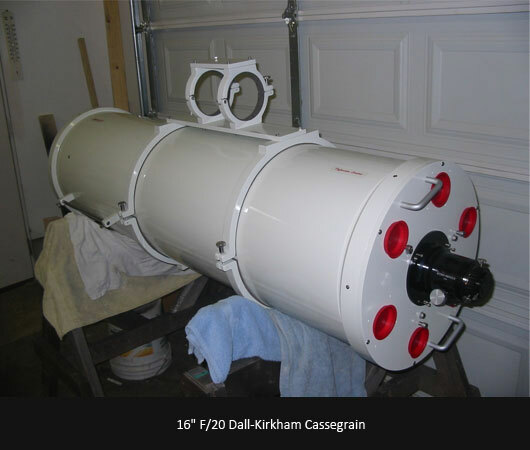 The Dall-Kirkham Cassegrain with its F/20 focal ratio and smaller central obstruction is perhaps the ultimate high magnification visual planetary telescope.